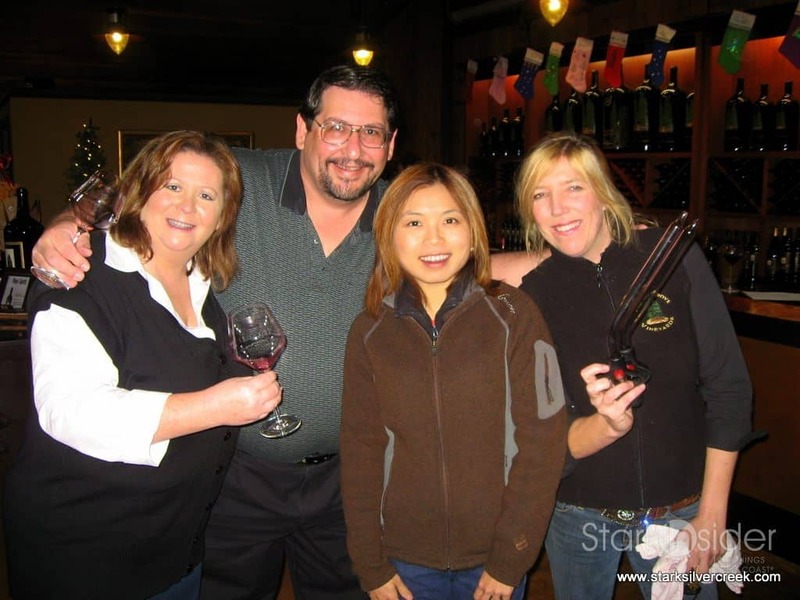 While at the Turnbull reserve tasting room, we met a couple from Fremont, California who were absolute fans of Turnbull. 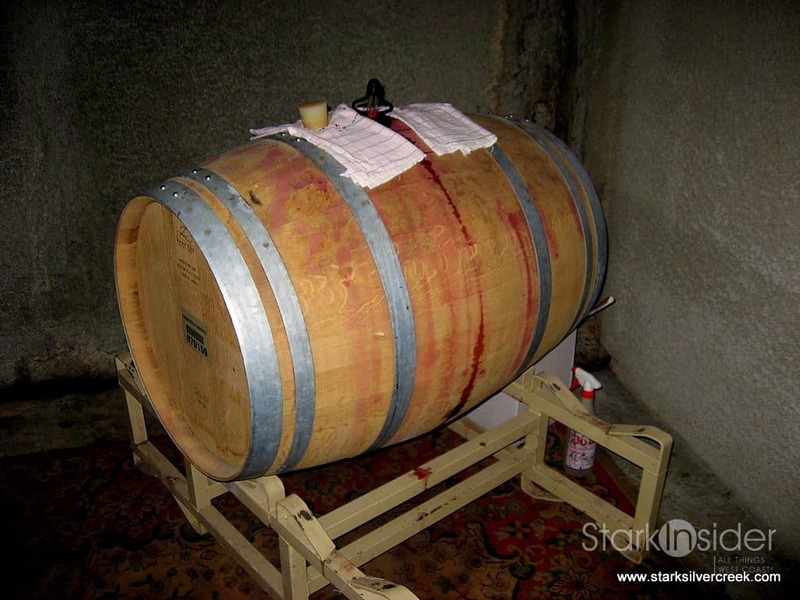 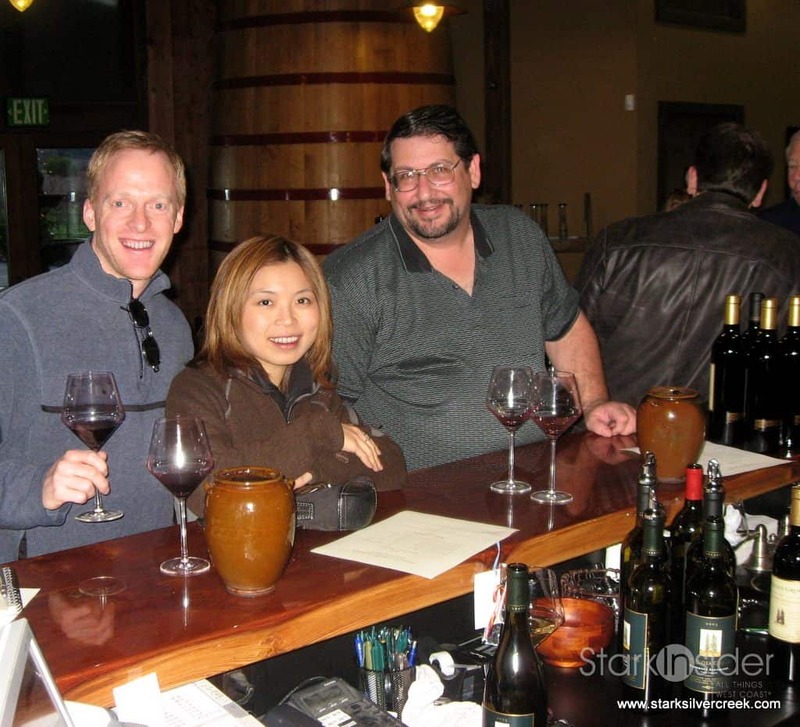 (I had the pleasure of interviewing Peter Heick, winemaker from Turnbull a while back.) 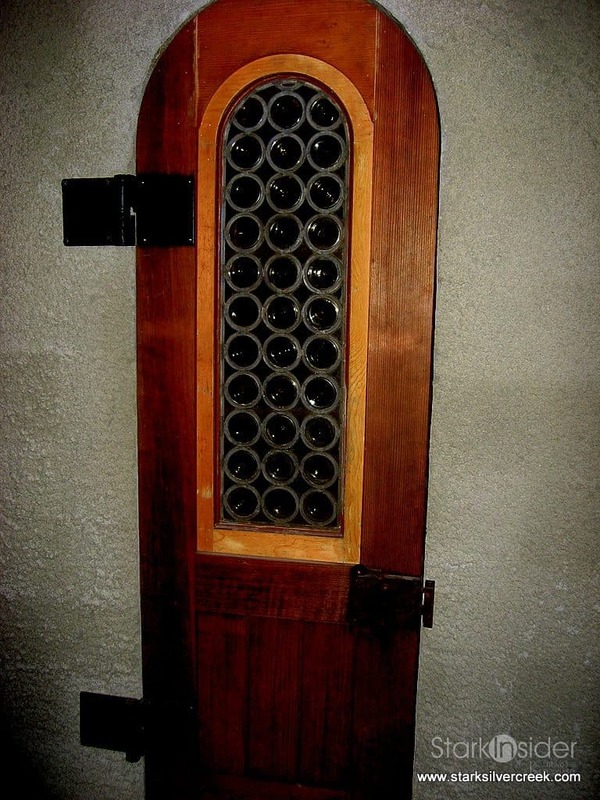 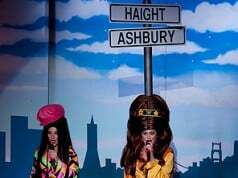 When I meet fellow fans of wine, I always like to probe into their winery recommendations, hoping to discover a hidden gem. 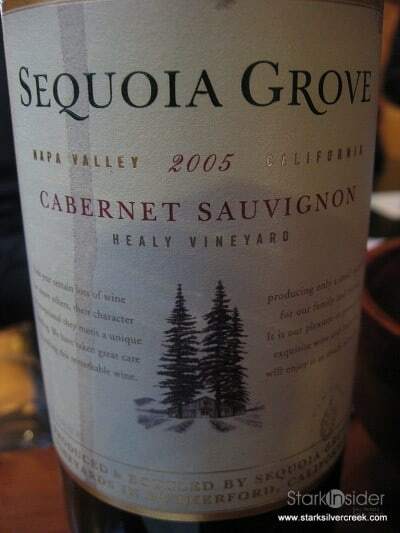 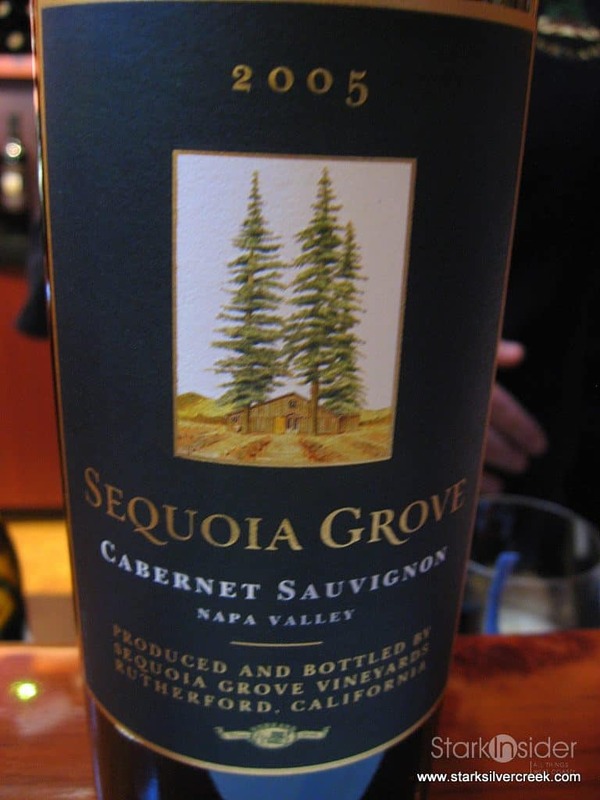 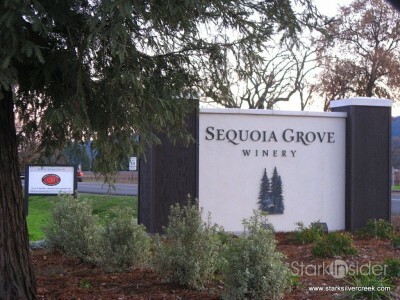 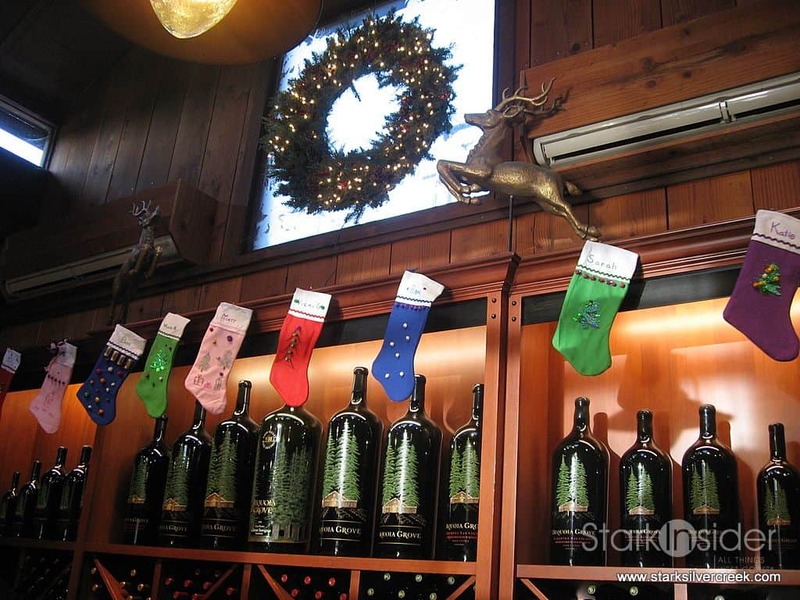 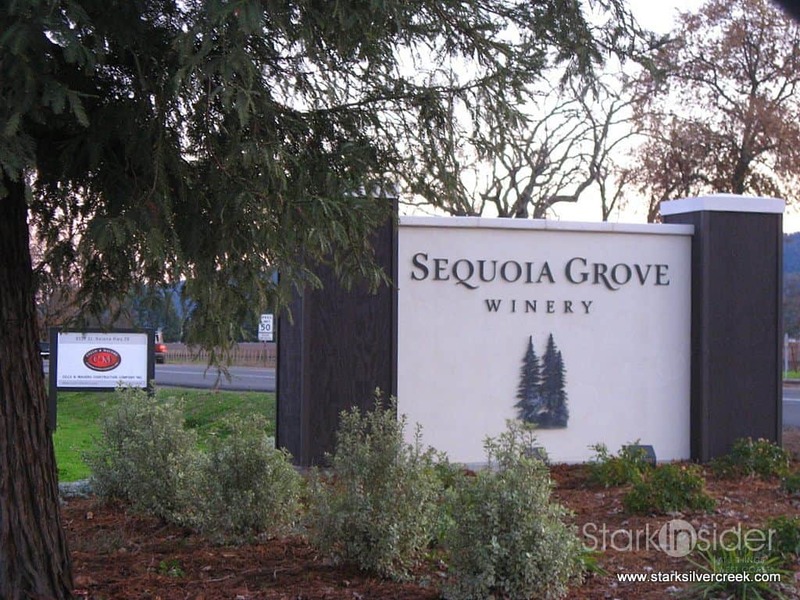 Jon and Kathy recommended Sequoia Grove winery, located in the heart of Rutherford, it can be considered a hidden gem squeezed between its more famous neighbors Opus One and Beaulieu Vineyards. 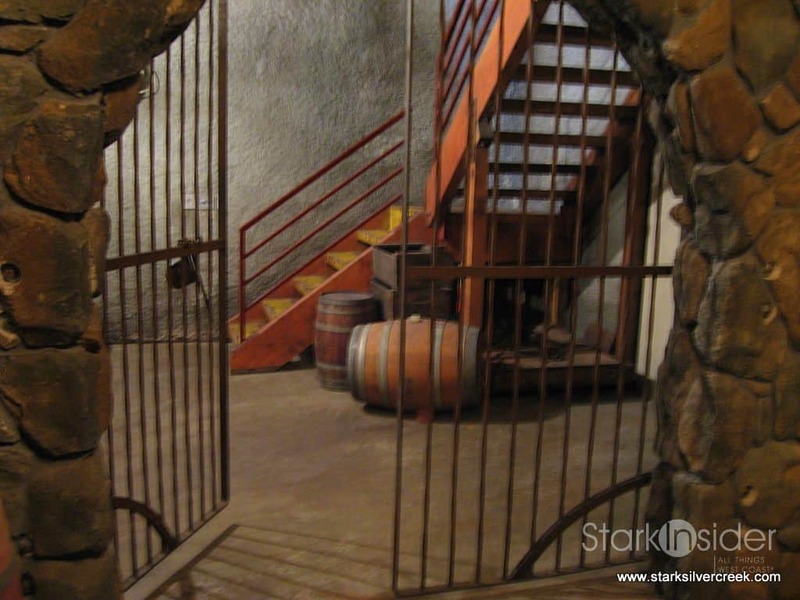 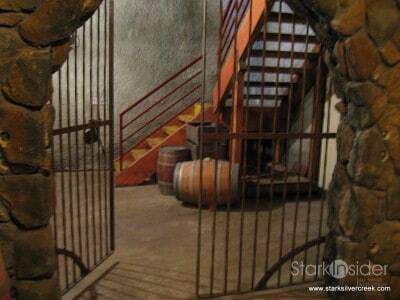 On approaching the winery, one gets the sense of a certain honestly and straight-forwardness of the winery. 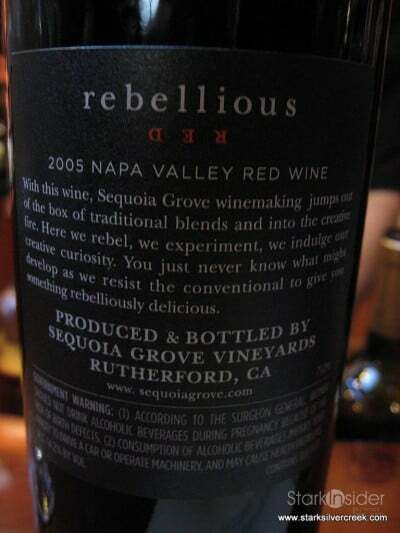 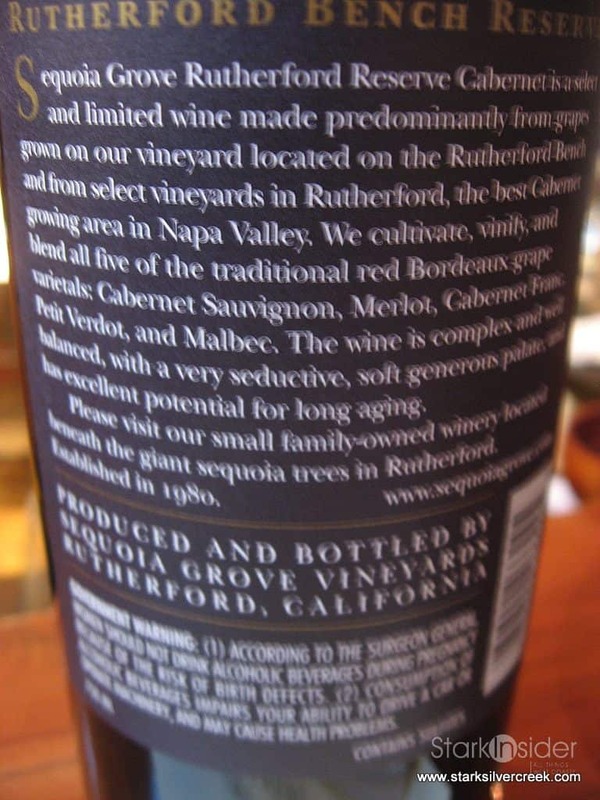 There is no amusing, fate-driven story behind the name of the winery. 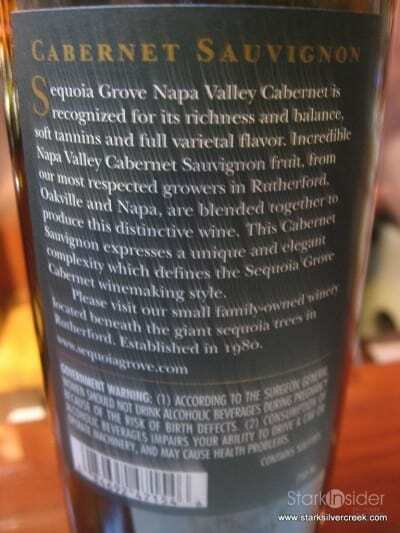 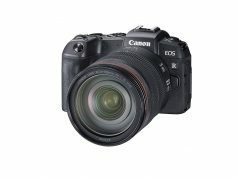 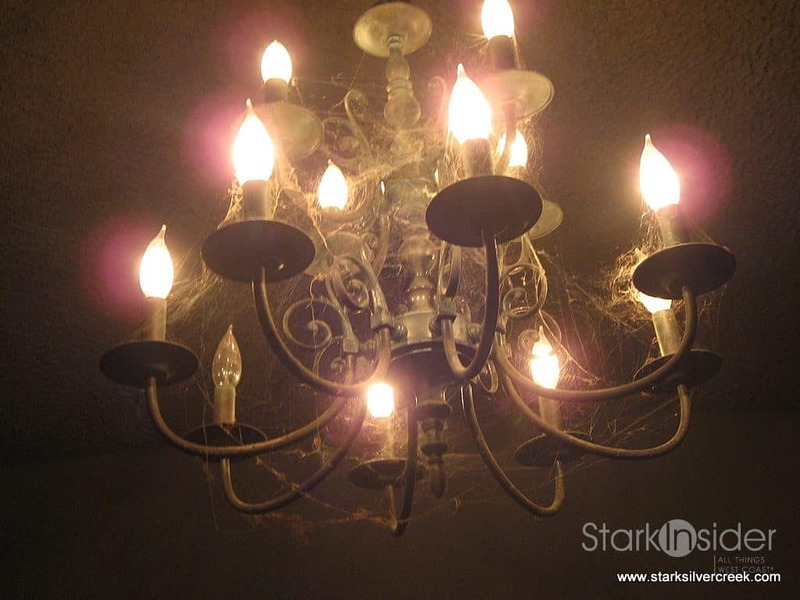 One look at it and it is apparent why it garnered such a name. 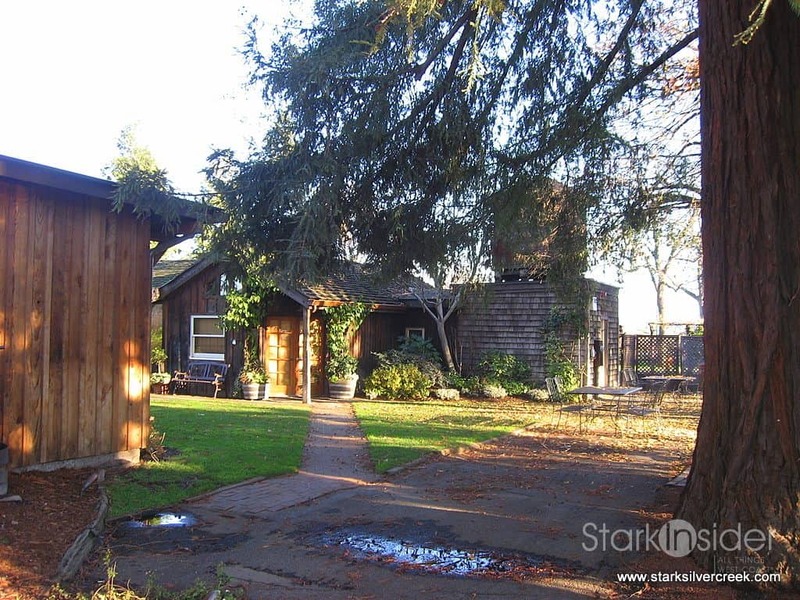 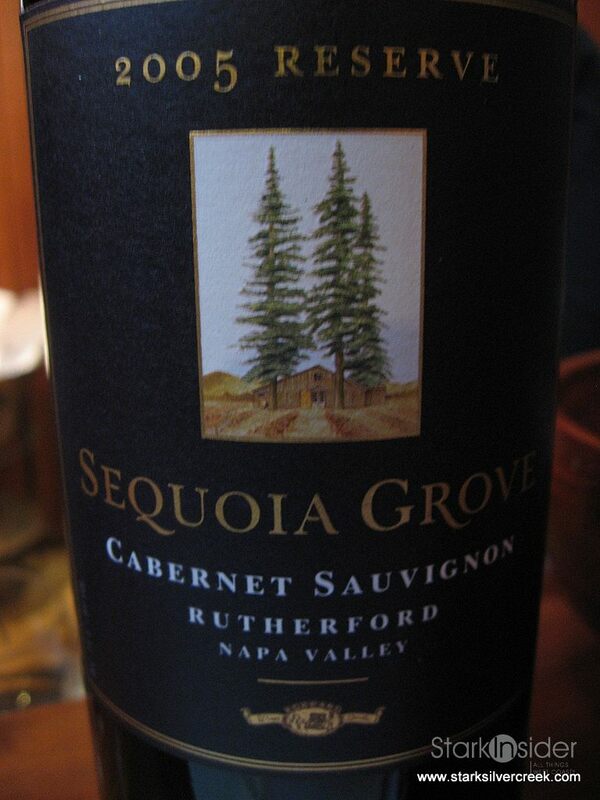 Like Turnbull and Cakebread, the architecture of Sequoia Grove is dominated by simple clean lines and a lot of wood. 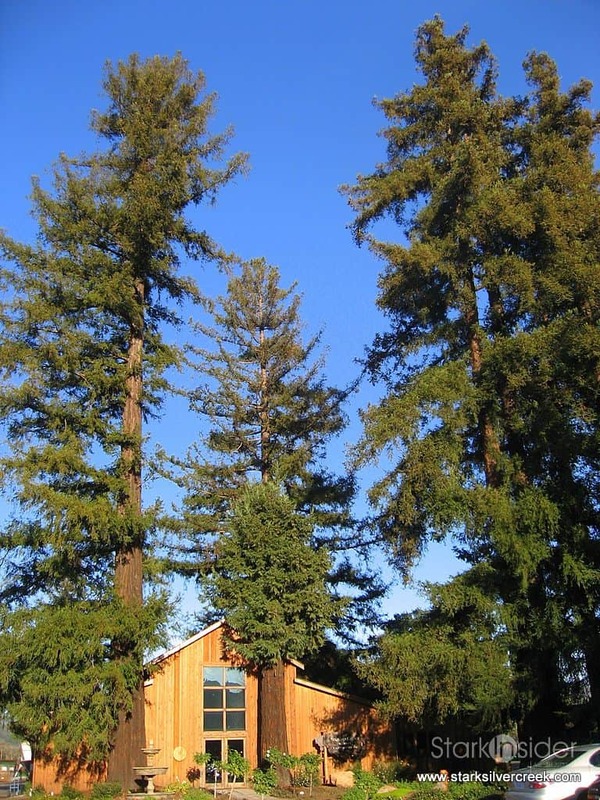 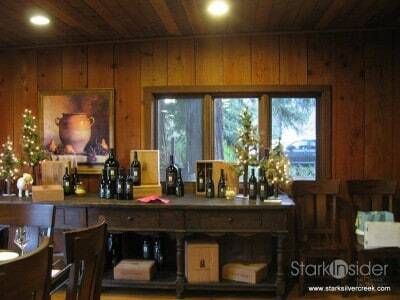 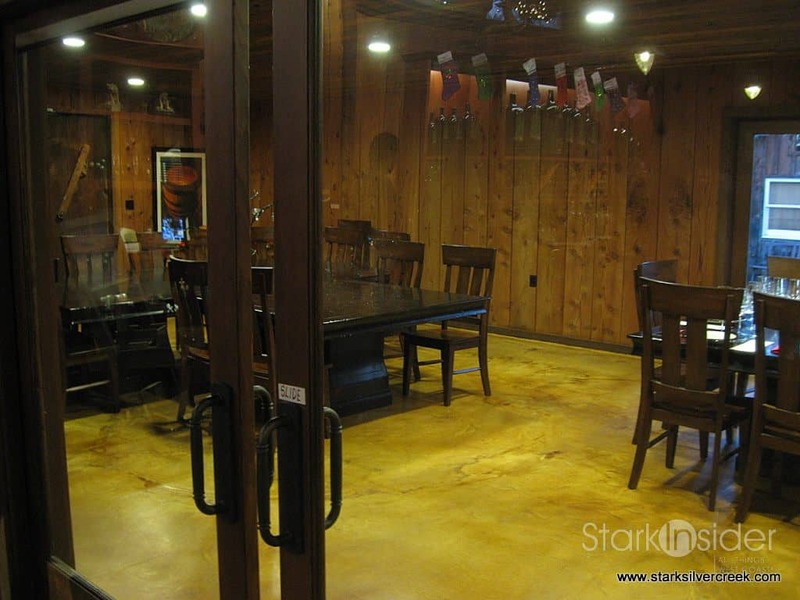 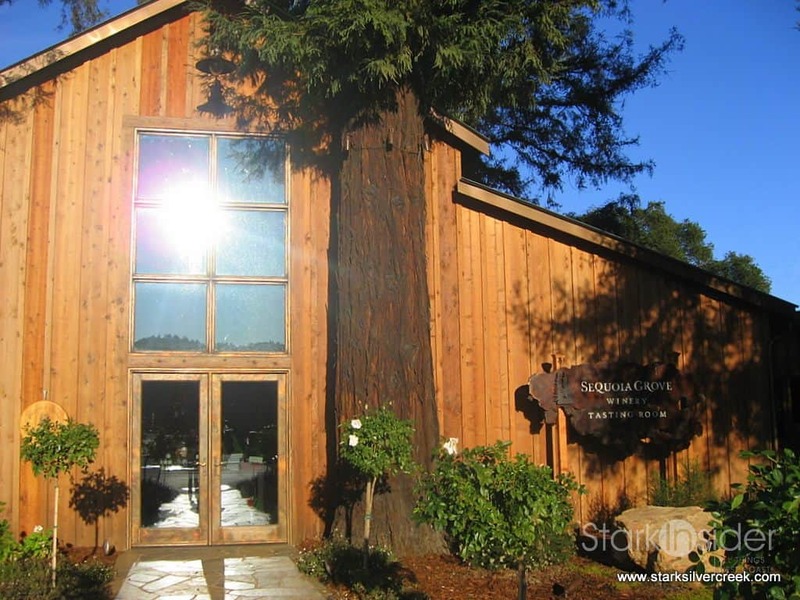 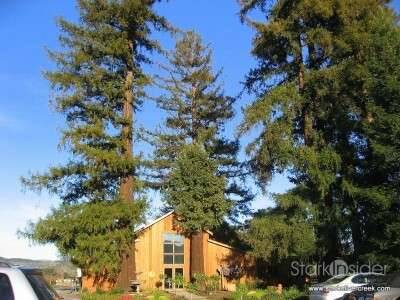 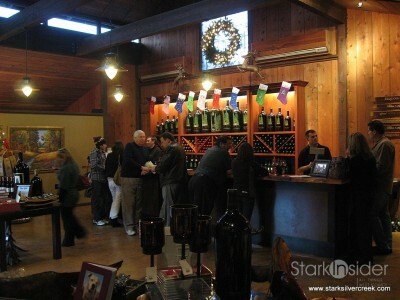 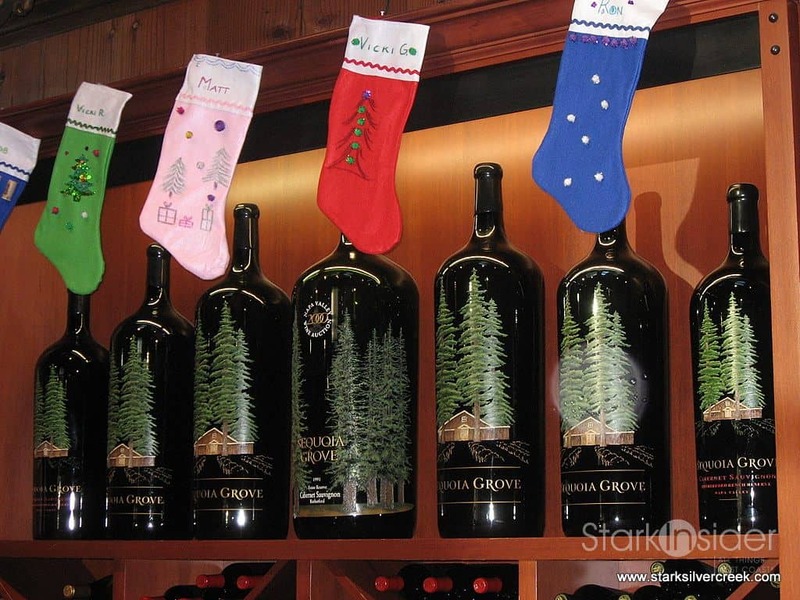 The modest tasting room is surrounded by grand, tall Sequoia trees. 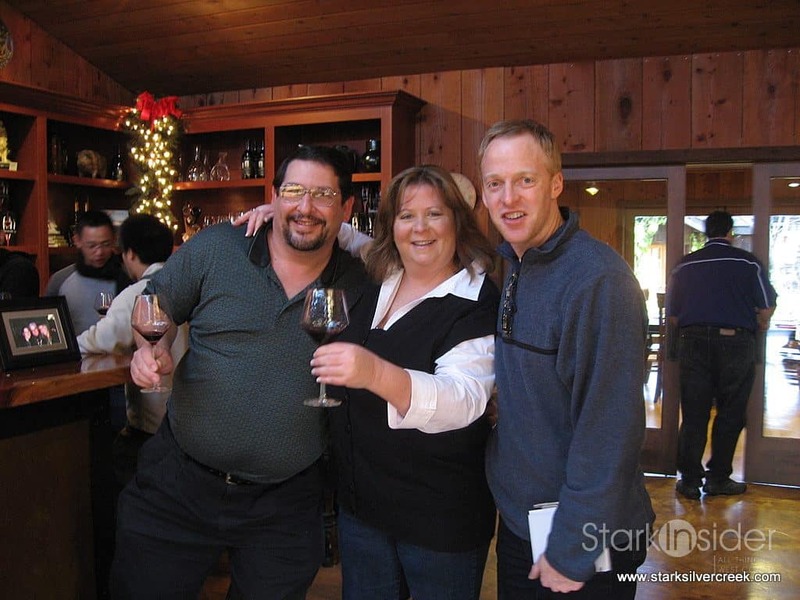 When we entered the tasting room, we were surprised to see none other than the couple, Jon and Kathy, we bumped into at Turnbull. 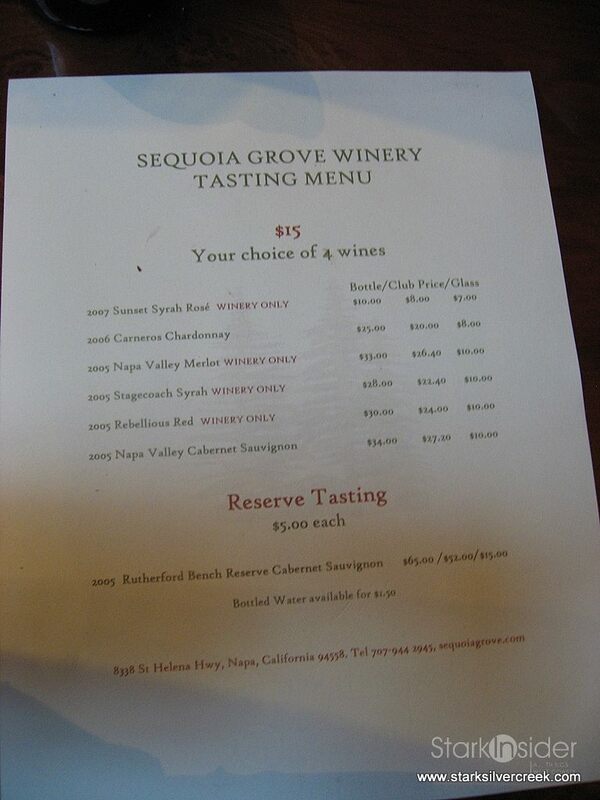 Such a small world when you are tasting wines in Napa. 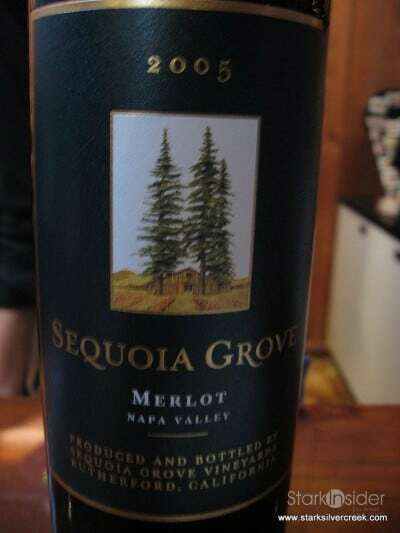 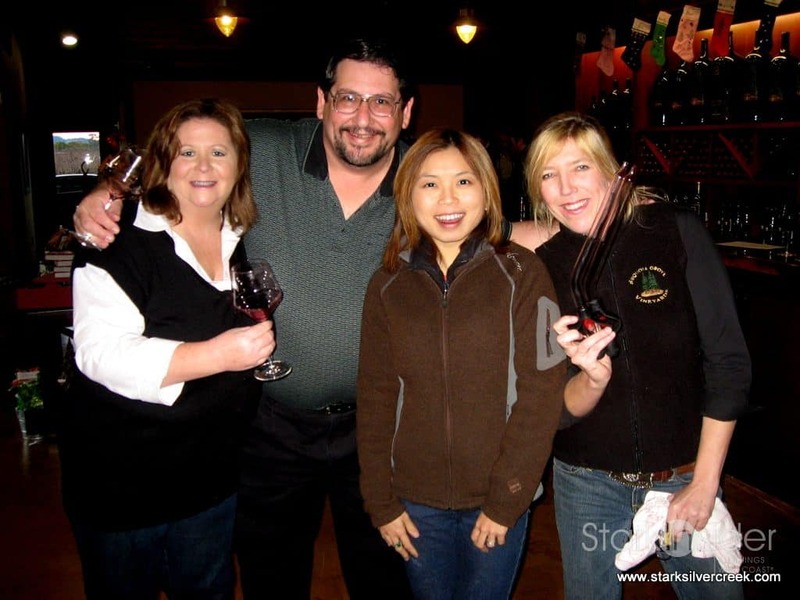 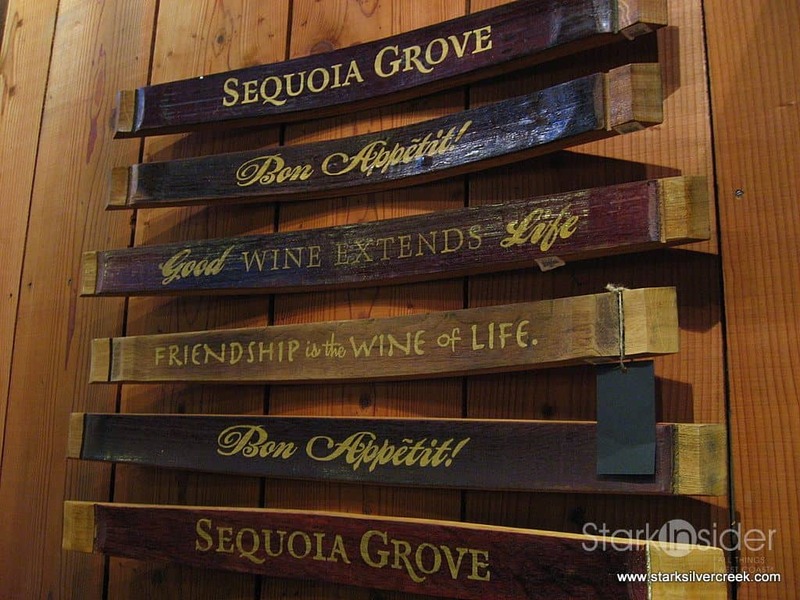 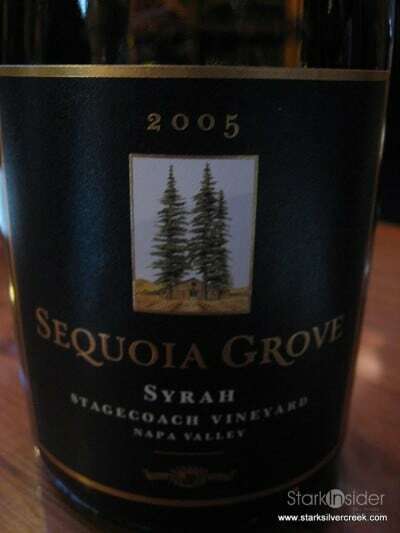 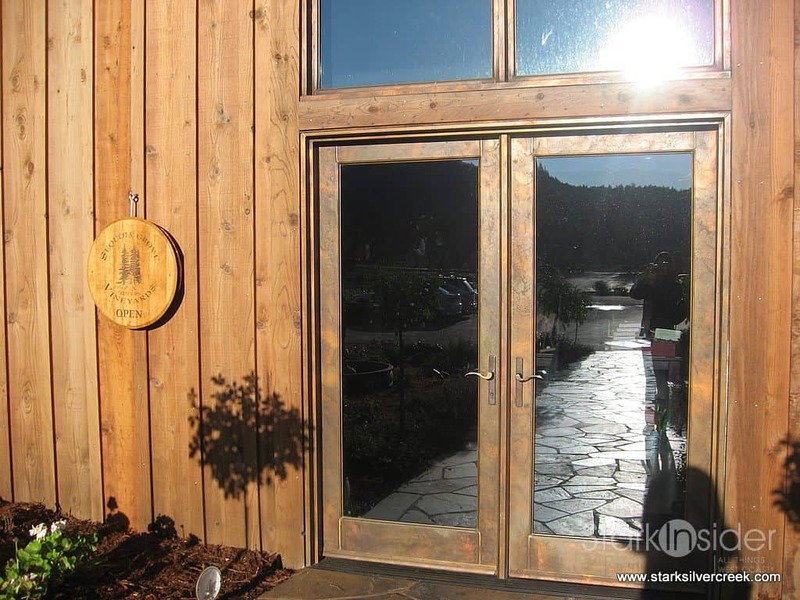 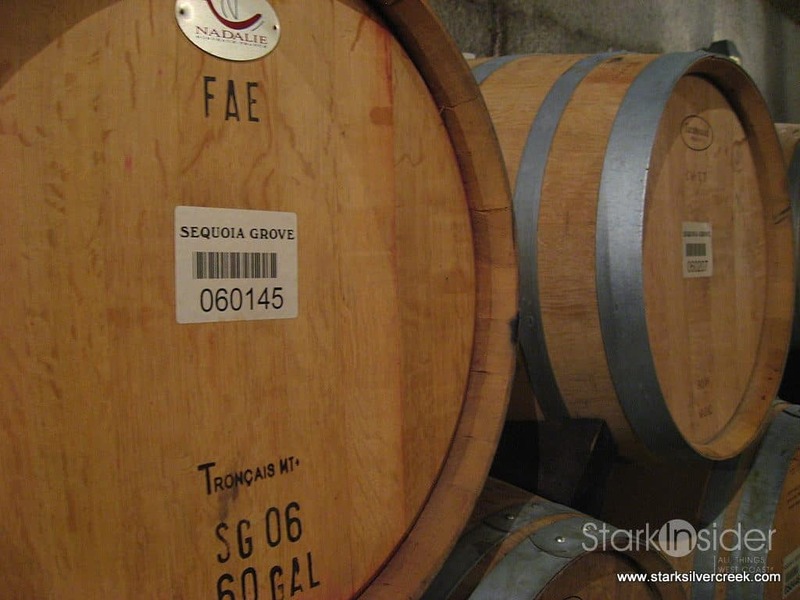 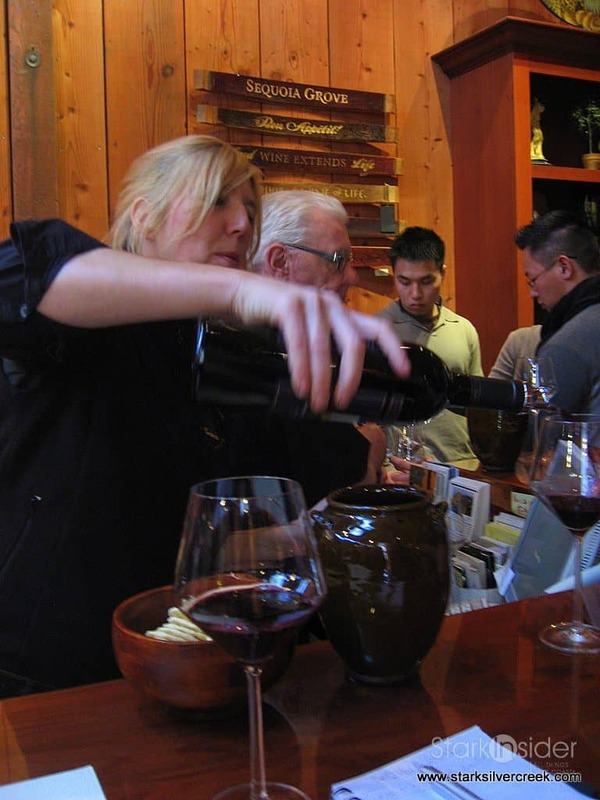 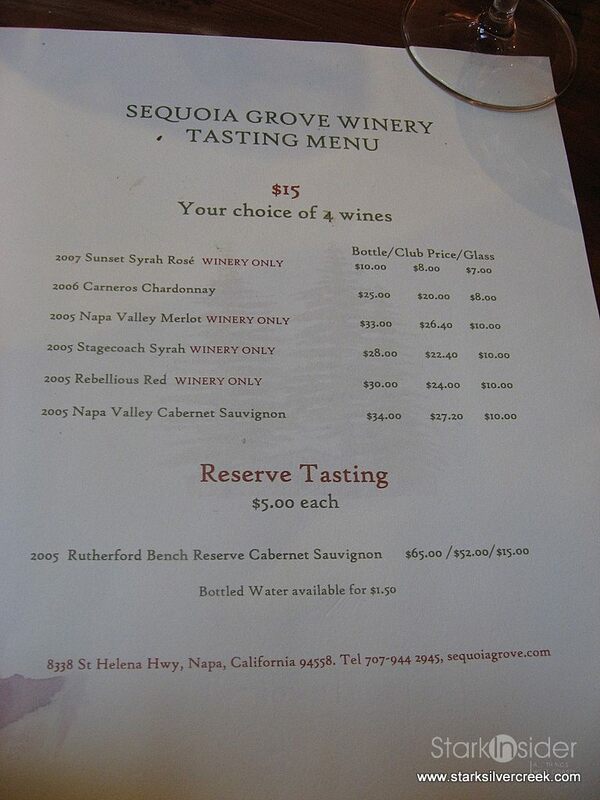 If the wineries one likes reflects one’s personality, then I would say Sequoia Grove is a dead ringer for Jon and Kathy — friendly, approachable, and unpretentious. 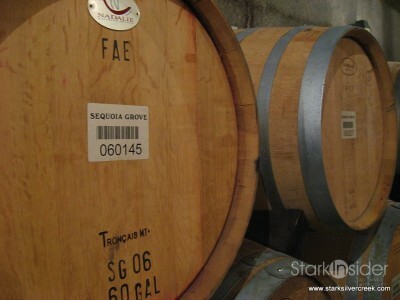 I really enjoyed their company and after only knowing us for the day, they welcomed us to tag along on their “member-only” experience down to the barrel tasting room and we even got a taste of Sequoia Grove’s “secret” Healy Vineyards Cabernet which is only sold to wine club members and is not included on the tasting line up or even referenced at the winery. 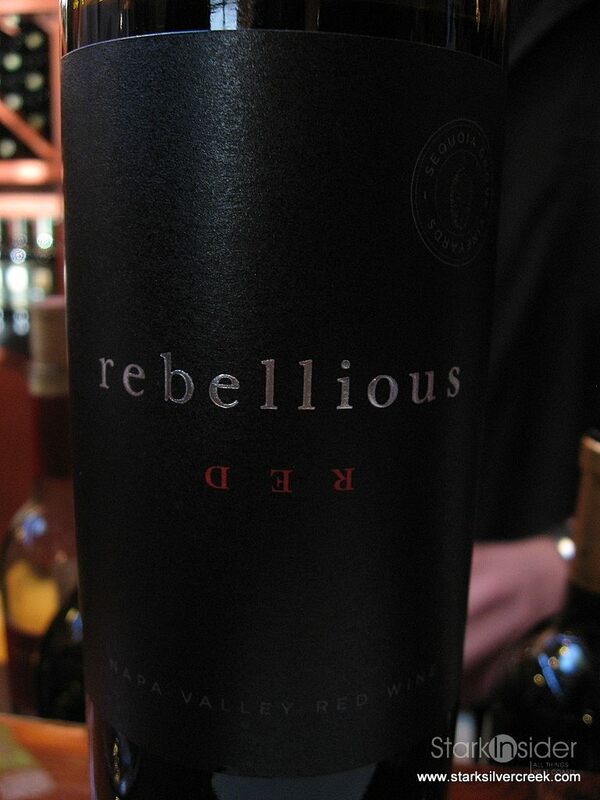 The Healy Vineyard Cabernet is comparable to Turnbull’s Black Label in quality and I absolutely loved it, definitely a wine to drink on its own. 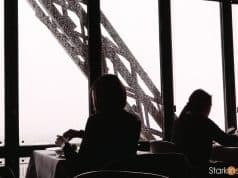 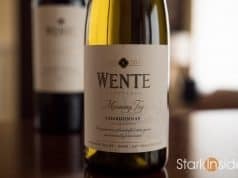 It is one of the few remarkable wines that is “complex” in character by the fact that the characteristics of it does change and reveal itself over time in your mouth. 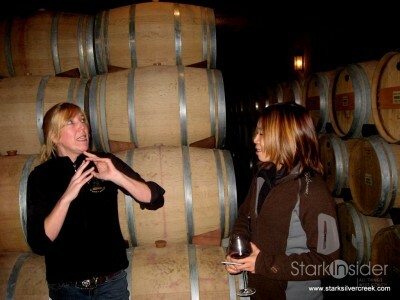 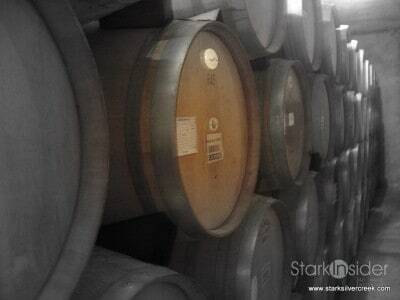 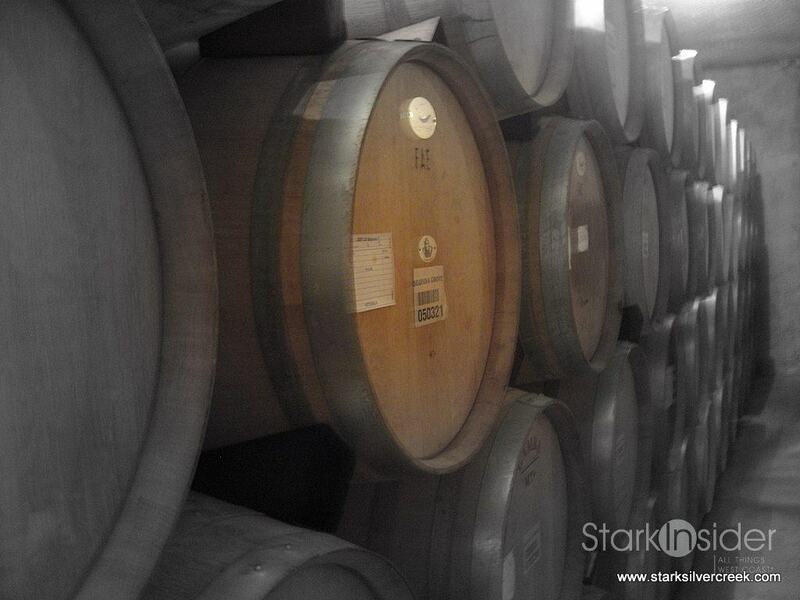 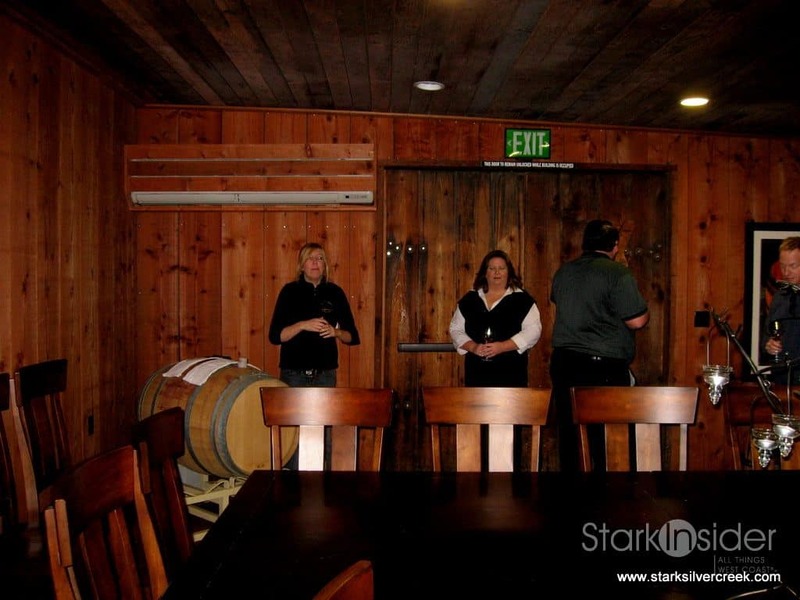 Janie did a wonderful job leading us through a tour of the barrel room and a entire tasting at Sequoia. 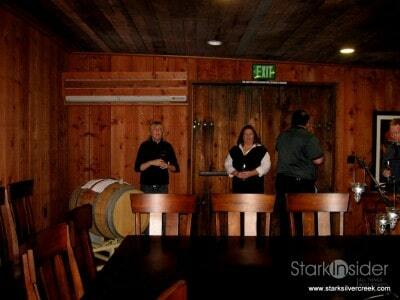 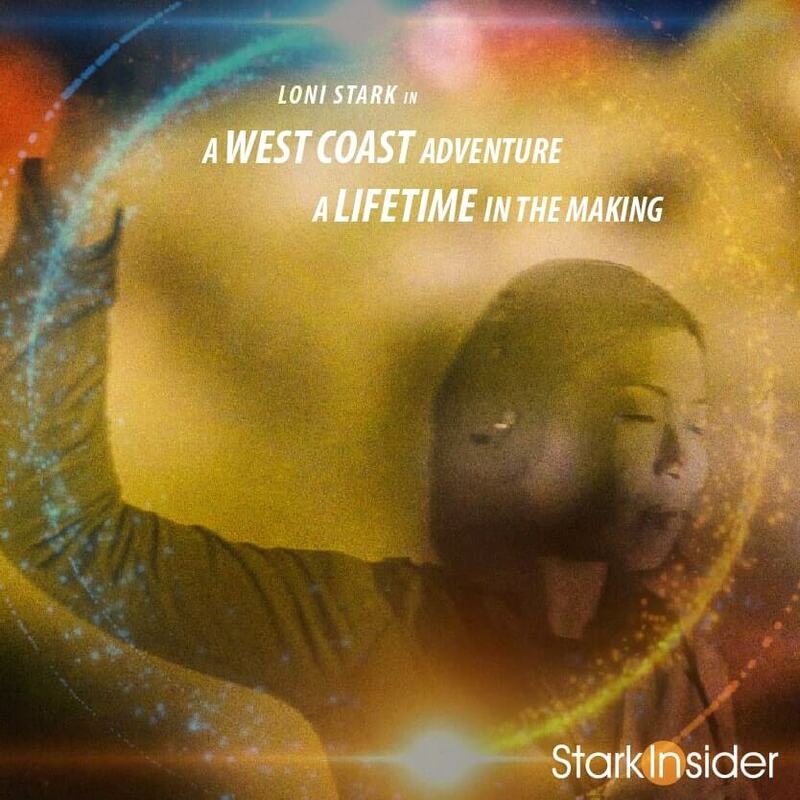 Thank you Jon and Kathy for sharing with us your secret gem. 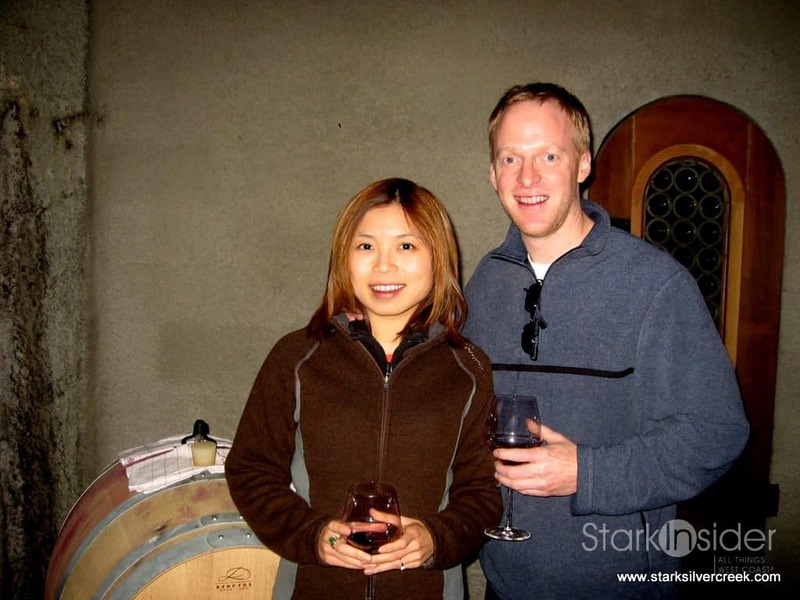 You enhanced our experience on our last trip and for that I am most appreciative.